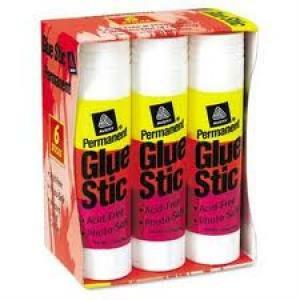 Stick in there like a champ with this Glue Stick. Its permanent adhesive securely fastens paper, cardboard, photographs and more for great crafting, scrapbooking and other projects. Simply lift the cap and twist the base for easy application. The large size lets you apply glue to a larger surface area. This is one tool you'll be happy to see stick around.